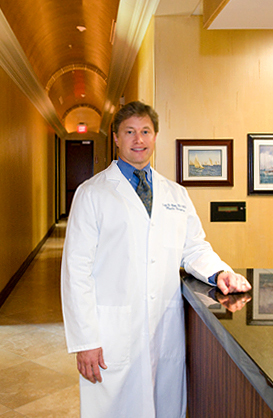 At Coastal Plastic Surgery Center, Board Certified Houston plastic surgeon Dr. Adam provides both proven & advanced techniques in breast enhancement, body contouring, and facial rejuvenation. Welcome to Coastal Plastic Surgery! Dr. Todd W. Adam’s goal is to help people enhance their appearance — and their outlook on life. Whether your desired change is dramatic or subtle, Houston plastic surgeon Dr. Adam understands that cosmetic enhancement is a very emotional experience. That’s why he responds to your feelings with honesty and compassion, and works to make your cosmetic surgery experience as pleasant as possible. Plastic surgery has become one of the most popular medical procedures. The decision to undergo surgery should only be made after careful consideration, and your selection of a surgeon is critical. After all, the results likely depend upon the surgeon’s ability and direct experience with the procedure. Visit our elegant new Webster, Texas plastic surgery office with a private, certified surgical facility.